Must provide your own building materials, i.e. sawhorses, tools, etc. *A certain amount of advance milling is acceptable. 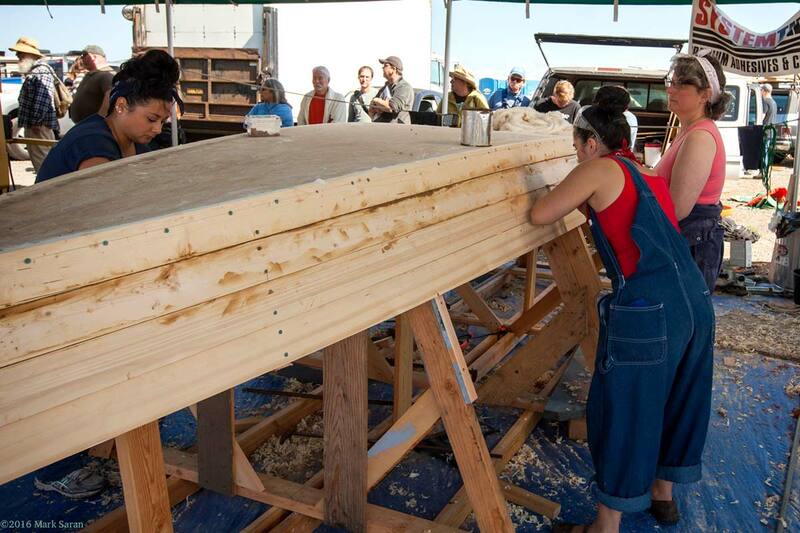 Wood can be planed and cut to a dimension, but not cut to a boat shape. Same for frames, transoms, and other stock. Wood cannot be glued up or cut in advance, but you can be ready to glue and cut at the start. 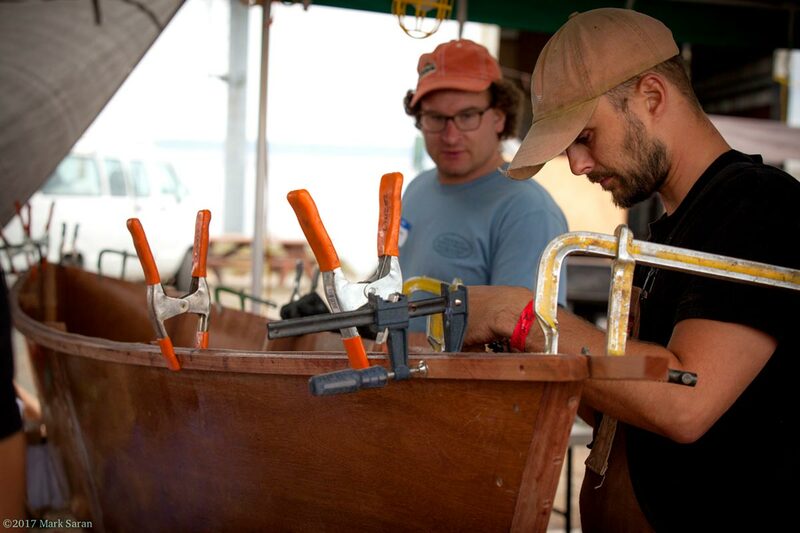 The Edensaw Boatbuilding Challenge is limited to 10 teams. If over 10 teams apply they will be chosen by lottery. The cost is $125 per team, which includes two t-shirts and up to four Festival passes. Sunday: 9:00 AM to 1:00 PM Float competition is at 2:00 PM Awards will follow. All hand tools and power-tools, with the exception of table saws, power planers, joiners, or grinders. What materials are allowed to be pre-made or pre-purchased? Oars, oarlocks, paddles, hardware, sails, rigging, and masts. What prep work is allowed before the competition? Full size plans, patterns, and pre-marking parts is allowed. How many people need to fit in the boat for the float competition? Completed boat must float one team member and complete our short course. Will tools be secure overnight? No. Teams are responsible for the security of their tools. Can we sell the boat at the Festival? Yes! We will provide signage for all teams which can include boat sale information. Can we use inflatable buoyancy bags? Yes, as a safety backup only. Not as flotation. Can we use heaters overnight to help cure epoxy? Teams are free to tent off their area and use a heater, provided it is not a fire hazard. Do I need to bring my own PFDs? In keeping with the spirit of the Wooden Boat Festival, the judging parameters are kept to a minimum. 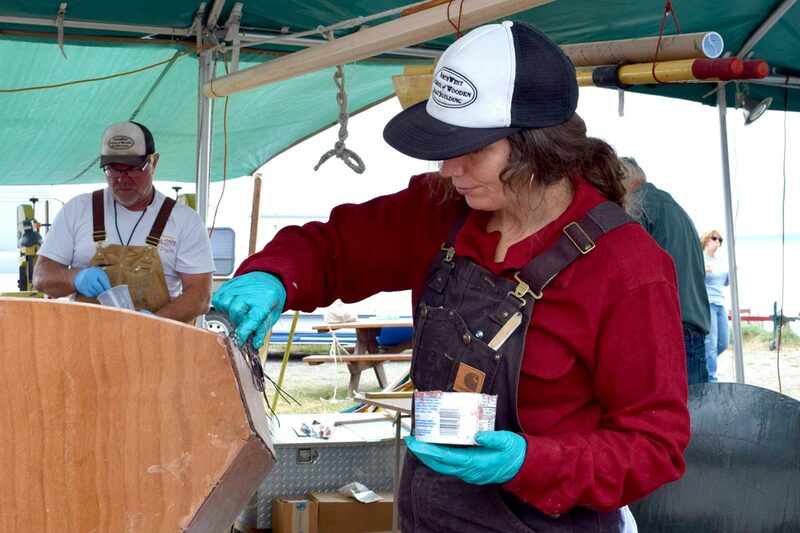 Unlike building a kit boat, we encourage original designs and construction technique to achieve an excellent boat in a short amount of time. Some of the particulars judges will be looking for: originality, design, workmanship, teamwork, performance, aesthetics, and seaworthiness.